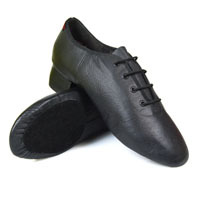 The Capezio Boys Reel shoe is a split sole shoe which offers experienced male dancers excellent levels of flexibility. 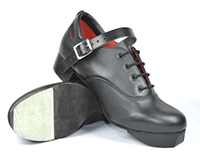 The light leather uppers fits close to the dancers foot for an excellent shape whilst dancing. 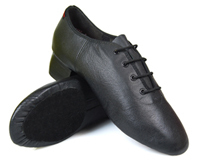 This type of reel shoe is extremely popular amongst experienced male dancers and is worn by the majority of World Champions. The shoe is not suitable for beginners, younger dancers or those with recent ankle injuries as the shoe does not offer much support and replies on the strength of the dancer's arches for structure. ▪ Concorde Lite heels - 30% lighter! The preferred choice of World Champion Highland Dancers. A popular straight-lasted Ghillie with an open-front look for Highland Dancers or Scottish Country dancers who prefer a narrow fitting Ghillie. Extensive size range from Child 9 - Adult 10 1/2 in half sizes. 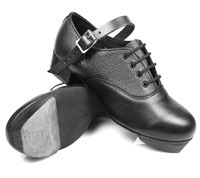 Fays shoes are a very established brand in Irish dancing and their Irish dance shoes are highly regarded by many dancers. Fays Ultra Flexi jig shoe has a flexible black suede sole which provides maximum flexibility and minimum breaking in time. The uppers are made from 100% calf leather and the heels have been shaped with a bulge on the inside so they help with heel clicks. The Millenium tip provides an excellent sharp sound and is very tough and durable. The tips have also been flattened to deliver extra support and balance during toe stands. When the original Hullachan jig shoe sold out completely 'Pacelli' took the opportunity to review the design and make some improvements for this new version. They have upgraded the leather uppers and improved the padding around the ankle. They have also made changes to the stitching to make them more robust, especially around the toe area. 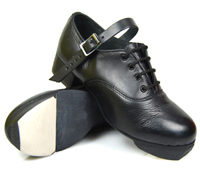 �All the other great features of the Hullachan jig shoe remain the same! Improved Leather Uppers - They have upgraded the leathers used in the shoe for an extra professional appearance on stage. Improved Stitching - They have reviewed the stitching around the front of the shoe and reinforced all stitches to make the shoe stronger and tougher. 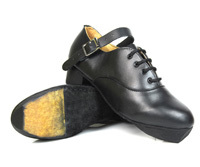 Improved Padded Ankle Collar - They have updated the padding around the back of the heel so it is a little fuller to stop heel blisters and heel irritation when dancing on your toes. Lightweight - The Hullachan Jig shoe has lots of support and comfort features but they have kept the shoe very light so you can dance for hours. The sizing on the new Hullachan Ultra Lite jig shoe is the same as the previous Hullachan Jig Shoe. The shoe still runs true to size so they would suggest ordering your normal UK shoe size. Go half a size smaller if you like a tight fit. 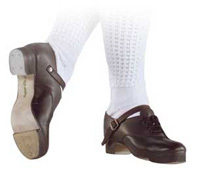 The Super Flexi jig shoe is made from superior leather which is used in both the uppers and super-flexi sole and is the perfect choice for dancers requring a balance of support and flexibility. The Super Flexi has a range of features designed to provide excellent levels of comfort. �A U-Shaped heel stiffener which softens the back of the heel and stops the shoe cutting into the Achilles tendon, dramatically reducing the odds of blisters when the shoe is new. �A padded insole to reduce impact shock when dancing. �A thicker strap which has been lined for additional comfort. �Redesigned buckles for easier opening and closing. The Ultra Flexi jig shoe has a black suede sole and is designed for dancers requiring flexibilty in their dance shoe from day one. The Ultra Flexi jig shoe has a range of features designed to provide excellent levels of comfort. A U-Shaped heel stiffener which softens the back of the heel and stops the shoe cutting into the Achilles tendon, dramatically reducing the odds of blisters when the shoe is new. A padded insole to reduce impact shock when dancing. A thicker strap which has been lined for additional comfort. Redesigned buckles for easier opening and closing. The Ultra Flexi jig shoe starts at a size 12. If you require a smaller size then please see the our original Superflexi which starts at a childrens size 9. * Please note that these shoes are not suitable for very young dancers or dancers with weak arches as they are designed to be extremely flexible. In these instances we would advise you go for the Superflexi jig shoe which offers more support. The Elite is a major development in pump technology and brings together new processes to deliver a high performance pump for todays dancers who now train like athletes. Top dancers train several times a week and need footwear which looks after their feet and allows them to develop to their full potential and compete at the highest level. To achieve this we have designed a pump with a dedicated left and right foot which reduces foot fatigue, allowing dancers to train harder and longer. The new features include a seamless toe which reduces friction and irritation around the toe area, a preshaped arch to reduce arch fatigue and a contoured heel which is shaped to support and hug the heel so the pump feel secure during movement. We have also added a poron padded insole as standard which helps absorb the impact dancers experience on landing after jumps and lifts.